If you have gotten into the habit of reading my messages, you must be an overachiever. Welcome! You are in good company. The things that overachievers in general don’t do well is acknowledging their progress. Ouch! The word “progress” originally meant to “step forward.” Overachievers always keep striving to achieve more, more, more but they rarely stop to see how far they have actually come. Do you think it is time to change that? Please don’t sacrifice self-awareness to ambition. Stop, breathe, reflect, make conscious choices – this is an exercise you should regularly engage in. 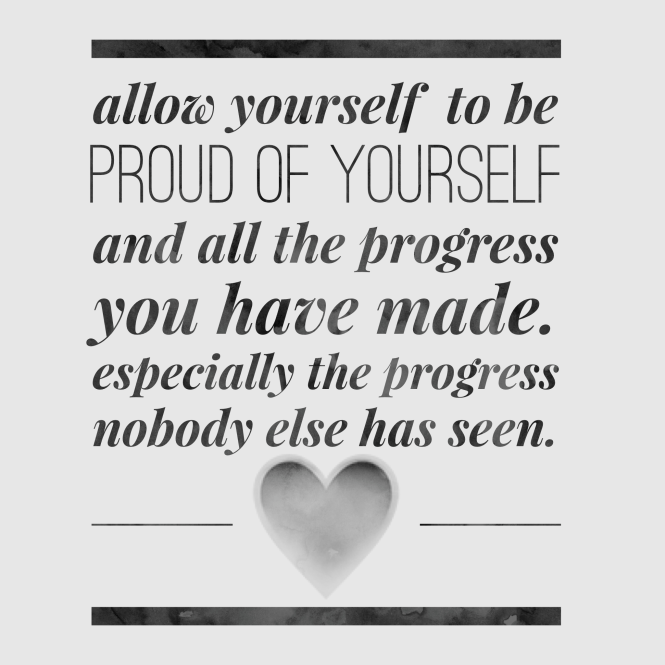 As soon as you start noticing your own progress, you will be able to pay more attention to other people’s progress. If you notice it, you can acknowledge it. How awesome would this be? Possible side effects include self-satisfaction, increased motivation and positive life-enhancing energy. I thought you would like that. Happy Friday!